This study provides local perspectives on water use and conservation of Lake Ziway and its watershed in Ethiopia. Past and present water use, management and conservation efforts are investigated, and causes to the lake’s current degradation are presented. The study is based on empirical data gathered through face-to-face interviews with experts from federal, regional and district state offices, research center, and local economy and conservation groups. The results show that the water quality and water level of Lake Ziway have been decreasing due to anthropogenic factors. The main causes are attributed to uncontrolled water abstraction from the lake, discharge reduction from feeder rivers, siltation due to deforestation-induced soil erosion in the watershed, and effluent discharges from floriculture industries as well as agrochemical runoff. Water use and discharge influx is not regulated or planned. A good number of interviewees perceived that the state’s effort to address the problems of Lake Ziway and its watershed is weak. This study contributes to the understanding of the local socio-ecological coherences and environmental problems Lake Ziway and its watershed are facing. It also provides firsthand information that can contribute to the development of long-term sustainable water use and conservation strategies for the lake and its watershed, which could also be applied to other lakes in Ethiopia, and beyond. This research was financially supported by the Addis Ababa University. Many thanks also go to Dr. Clive Nuttman, University of Cambridge, for his encouragement and technical support. The authors also thank all key informants for their willingness to participate in the study. Moshen, A. (1999). 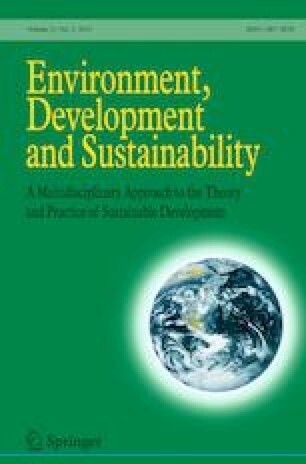 Environmental land use change detection and assessment using with multi–temporal satellite imagery. https://www.geospatialworld.net. Accessed June 8 2018.